Saving up for retirement is no easy feat. 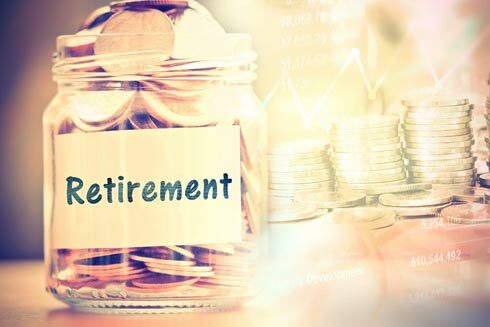 In 2015, the Government Accountability Office reported that the average American between ages 55 and 64 had saved only $104,000 for retirement. Based on cost of living and life expectancy, that amount would make it difficult for most retirees in [area] to enjoy their current lifestyle throughout their retirement years. Experts agree that the earlier you begin saving for retirement, the better off you will be in the long run. So, what can you do now to grow your nest egg for later? Review Your Finances Regularly. By taking a look at your savings and expenses at least monthly, you will get a better idea of where you might be spending too much or saving too little. Evaluate where you might be able to cut some corners to save more and spend less. Redirecting as little as $100 more per month toward retirement savings can make a big difference over time. Pay Your Bills Right Away. Don’t put off paying your bills. As soon as you receive, pay. Allowing that money that should otherwise go toward expenses sit in your account could cause you to overspend. Once you’ve paid all your bills and set aside your savings each month, then you can decide if you really still want to spend the extra money on dining out or a new pair of shoes. If You Can’t Afford It, Don’t Buy It. Seems simple enough, but I have seen many clients make the mistake of abusing their credit cards and purchasing items they can’t afford. If you’re serious about saving money for retirement, put away the credit and only spend using the cash you have on hand after bills and savings are set aside. Consider Downsizing. Another way to save money for retirement years is to downsize now. Consider the cost savings that could be applied toward retirement if you were to downsize your home, vehicle, cable subscription, or other expenses. While it may be hard to leave the home your kids grew up in, think about the freedom in costs and upkeep a newer, smaller home might provide for you. As you prepare for the golden years of retirement, take a close look at your approach to spending and saving now. You’ll be happy you did! And, I’ll be happy to answer any questions you might have or talk more about saving today for tomorrow. Please feel free to call me at 719-491-2500 or send me an email at sharonb@vipmtginc.com anytime.